”It only took just under four years to complete, but the collaboration between D&B’s wordsmith Sense MC and London based record label Different Music is finally completed. 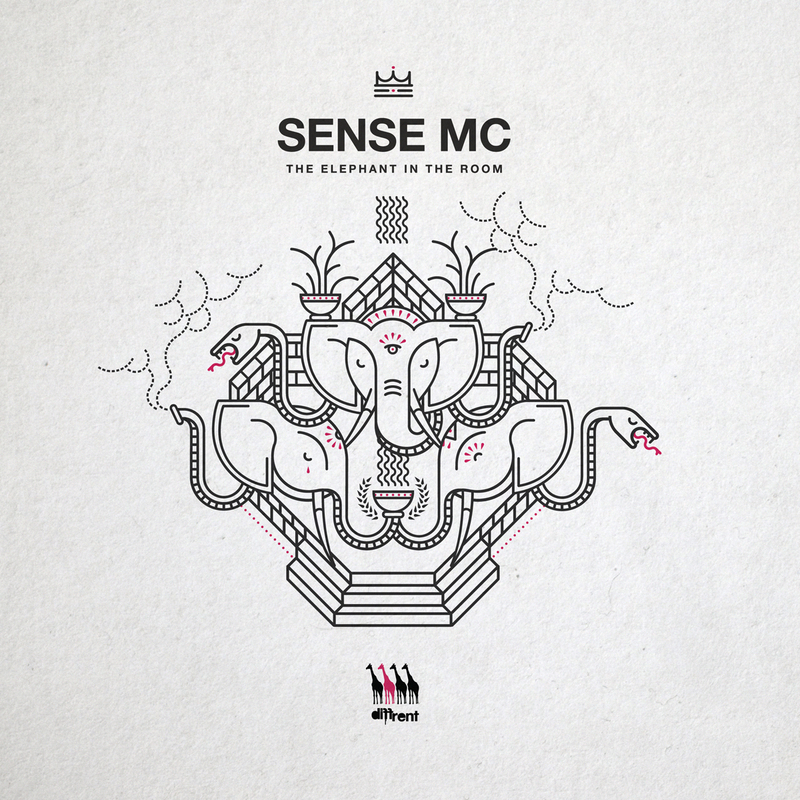 #BuyTheAlbum has been the hashtag for the last three years, via random outbursts on the GiraffeCast, and since then Sense MC has collaborated with a whole load of label crew and producers from his past throughout the scene. This 10 track sonic journey, containing a hidden secret or three is entitled “The Elephant In The Room” and is not only a Drum & Bass album but fuses influences from Hip-Hop, Soul, Broadway, Jungle and pretty much everything in between. We sincerely hope you enjoy listening to it as much as we have enjoyed making it. It’s been a lot of work of course, but the end result has been nothing but positive and borderline overwhelming and we appreciate you all.